Up now 150,504	meds have been administered with the help of dr Poket! 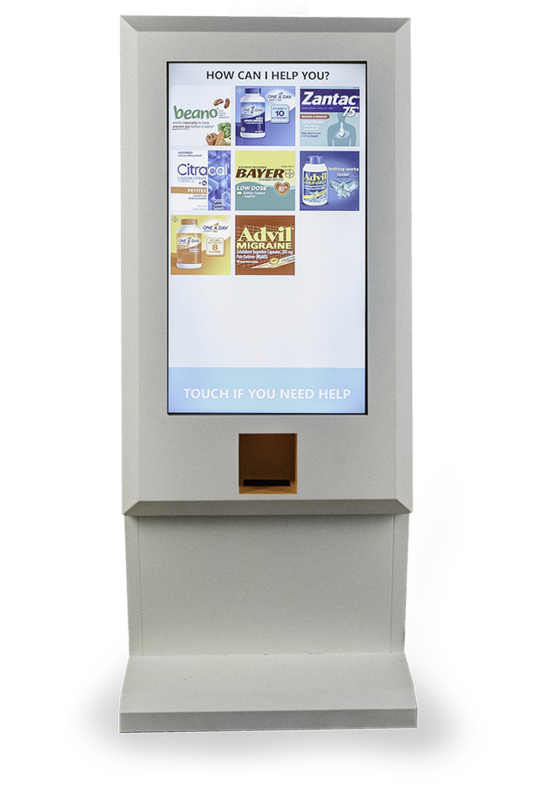 HealthPoint it’s the next generation of dispensing tool, distributing medications in medicine cups for immediate use. The device works reliably with all types and shapes of medications. 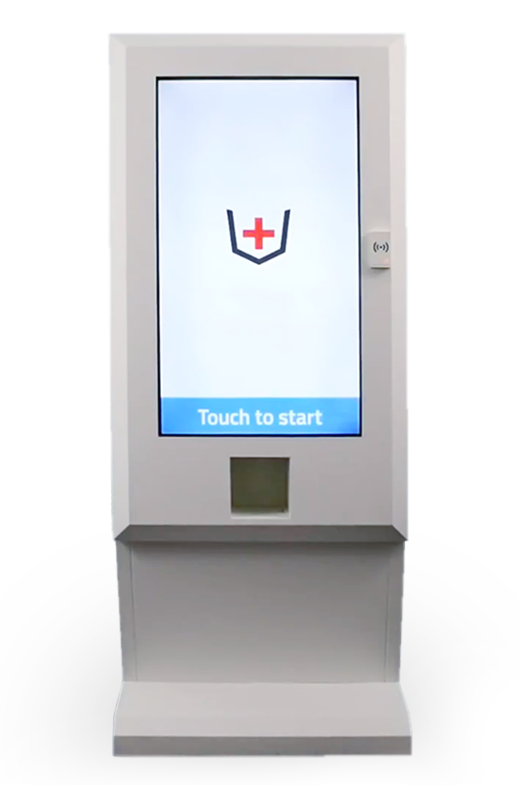 Each HealthPoint holds up to 30 modules and can be easily expanded. Important information about specific products is prepared in a simplified way to educate patients about the proper use of medication. Materials are adapted to be understood easily and include among others, contraindications and drug interaction warnings. The full medical leaflet is also available within the touch of a button. Customers can pay for products using the credit card, mobile payments or using our specially designed app. Dosages are rationed out in disposable medicine cups so they can be taken immediately. 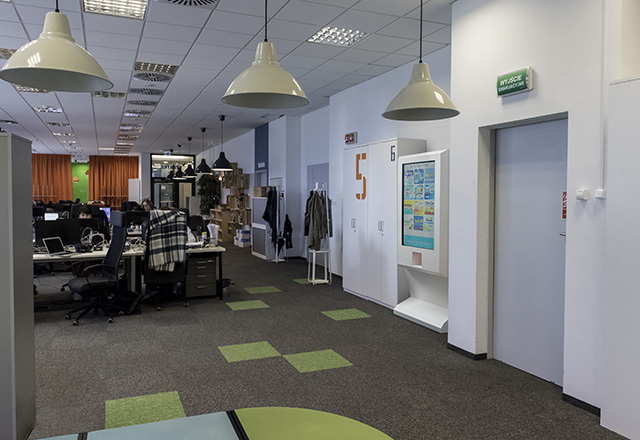 HealthPoints are allocated among pharmacies, offices, schools and other public places, to simplify the process of delivering the most popular products to the customers. 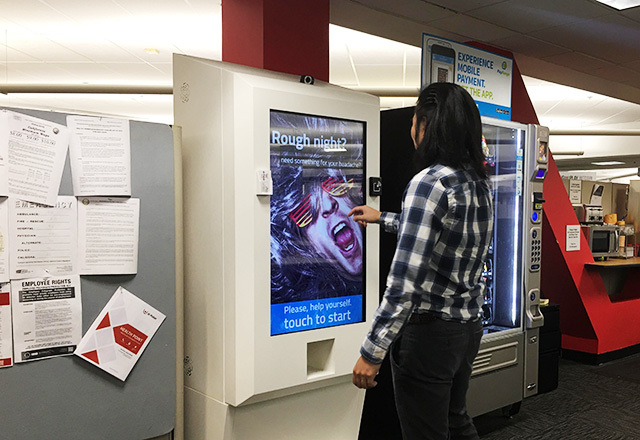 Select a product you want to take on a large touchscreen. Select an amount of pills that you want to take. Make fast payment using credit card or mobile phone. Products will be dispensed in a cup and they are ready to be taken. 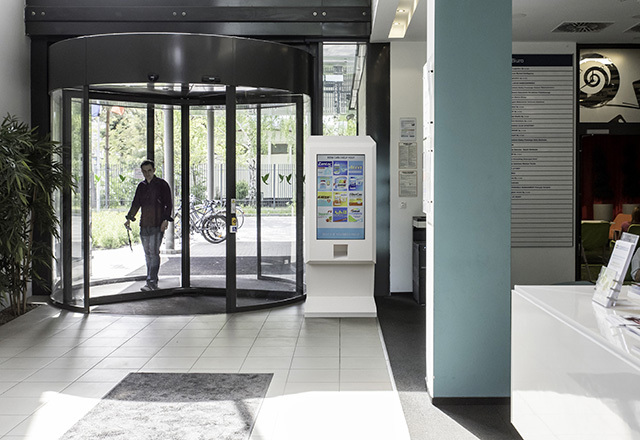 All important information: contraindications, harmful interactions between drugs and full medical leaflet are displayed on a device's touch screen before purchase. 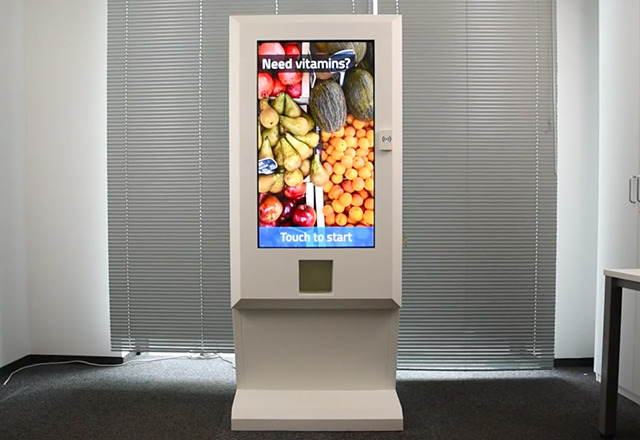 The machine helps to find a solution for office workers' symptoms. Knowing them, and choosing the right category, you can easily find the right product. Reliable, automated work process increases dispensary output 24/7 with improved user experience and tracking. Partners are able to control stock levels, sales reports, devices' several condition or even remotely halt dispensing of a certain product that has been recalled. Allows for storage up to 30 different types of medication and for expansion of the inventory in 2 simple steps. Every single product is double-checked using advanced image processing before being made available to the patient. 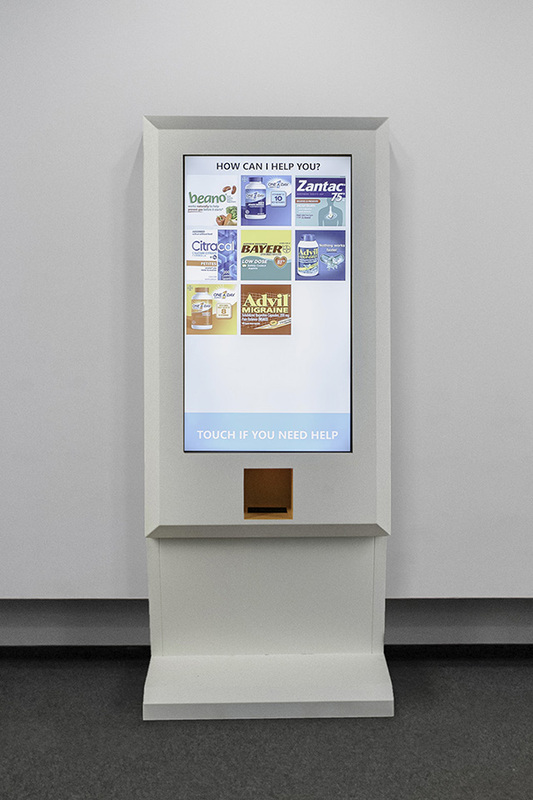 Ten, medications are dispensed into hygienic, single-use, disposable medicine cups. Storage conditions and the medicines are contained in the environment, that adhere to world-class quality standards for drug storage - taking into consideration such information as the humidity, temperature, and expiration dates of all product. Using sales reports, demographic data or location, the system carries out many analyzes, such as: measuring the popularity of individual medicines in specific locations, their effectiveness and many more. Anti-theft systems, solid casing material, a screen of tempered glass and extended monitoring in combination with an irregularity notification system keeps inventory safe and protected. Using a front camera, and facial recognition algorithms, we are able to identify children and prevent them from buying products from the device. 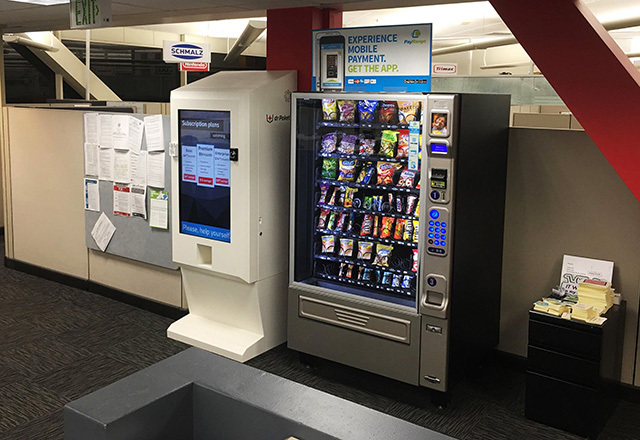 In case of any irregularities, the system will warn provider and, in a critical situation, can set up the machine to idle mode or, for example, automatically withdraw an expired product. Advertisements or any other content that you would like to display on the screen. 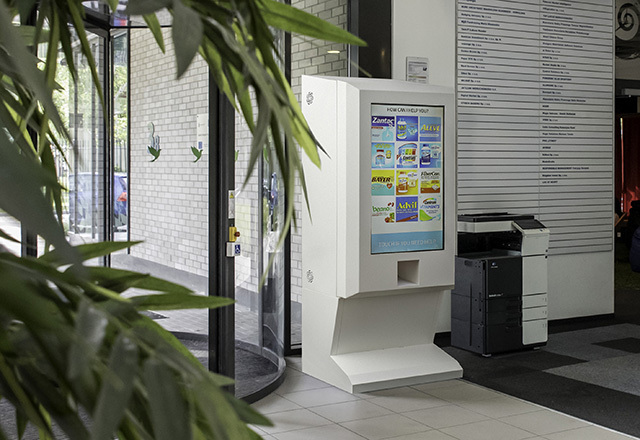 Images are displayed on a large, 40” touchscreen. Users can choose from more than 8 language versions to match their preferences. 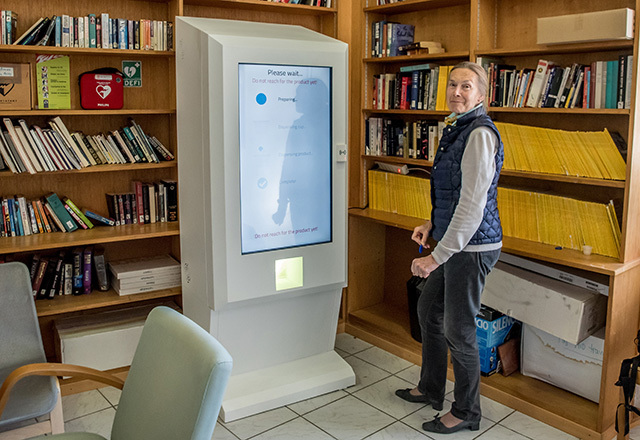 More than being just a dispensary, our smart device is connected to our custom, tailor-made web platform that presents customers with detailed information about all drug contraindications and precautions and even checks for possible dangerous interactions with other medications the patient may be taking. 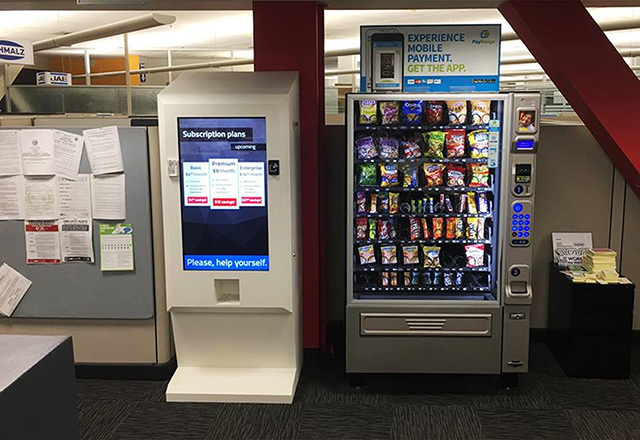 Healthpoint It is a self-sales network enabling previously unattainable savings in distribution costs, providing you with all information on your devices and their stock levels and even the condition of the device itself. At the same time, our powerful analytic tool it is the source of priceless data about your customers and their medicine taking needs. Using our dr Poket app, customers can manage their medical treatments in a detailed manner. 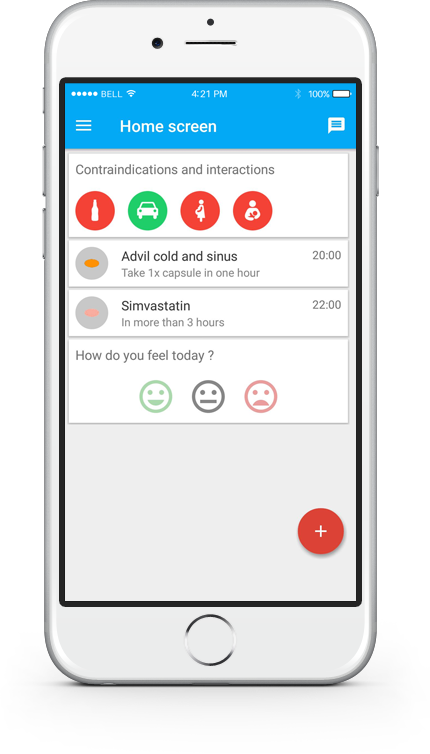 The app helps to measure and schedule doses and track treatment progress. This function is also available to doctors and caregivers, who could be granted access to remotely control their patients' therapy process. This includes the scheduling, monitoring, and even the restriction of buying additional drugs. 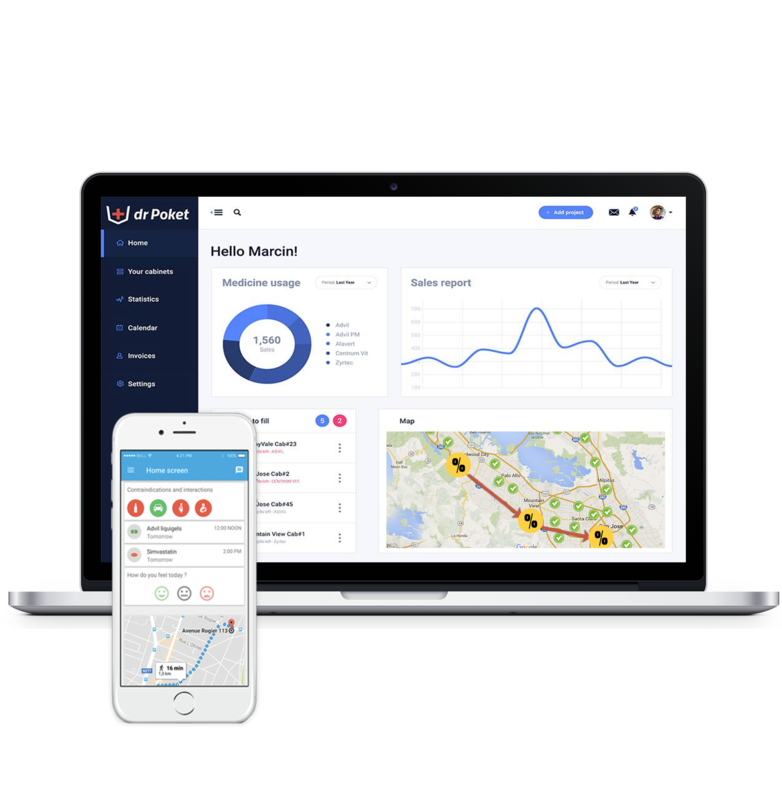 The dr Poket app could also locate nearby devices granting customers around the clock access to treatment, which would solve common inconveniences faced in fast-paced environments such as airports, hotels, groceries, and offices. Additionally, dr Poket facilitates hassle-free payment methods in our HealthPoint devices making access even easier. HealthPoint it is the solution, that brings benefits to both, our partners and the end users. Customers using our devices significantly improve their safety in the field of taking medicines. Additionally, the purchase process itself has never been easier. At the same time, our partners, in addition to selling and locating products, can gather very important data such as meds adherence, the popularity of products, devices' locations, or patients wellbeing. Setting up marketing campaigns or educational content on devices’ screens is available and very intuitive. "Despite healthcare being a higly regulated industry, every now and then an interesting innovation gets traction. The dr Poket is an example of this." "The most crucial feature is the ability of medical practioners, including doctors or clinics, to monitor patient compliance and enable them to make informed decisions for the course of treatment"
"Looks like a great initiative"
"I'm taking my daily dose of vitamins thanks to this wonderful device every day when I enter the office. I really love how fast and easy to operate dr Poket solution is!" "It's absolutely super convenient! When I have a headache, it just gives me the exactly what I want, when I want." "Totally love the idea! I used HealthPoint for the first time when I was in need of the headache meds, but now - I'm a daily customer mainly because of the accessibility and wide range of the products like vitamins." "It's very convenient, I can have as much as I need, whenever I need. Very straight to the point - I just have to take the pill and I have nothing to hold in my hands and that's very good." "I like dr Poket, because that so easy to take the medicine while I'm in need." "Very convenient, every day. Otherwise, I wouldn't take pills on time or not at all." "For someone who is very clumsy and drops their medicine all the time (like me), this is very convenient! Thank you dr Poket!" "It's amazing! At first, it's what I need. It's plain, it's fast and I don't need to go to the pharmacy to take my dosage. That's just what I need." "I started taking nutritions on daily basis only because of dr Poket device is in the office. Personally, I love the simplicity of the solution!" "Every time when I feel that my migraine ache is coming my way, I just simply go to HealthPoint for my relief. I know it's always there, ready to serve me medications when I know that reaction time in this matter is crucial."